ASURE Harbour View Motel - ASURE Rated 4 Star - your Tauranga motel accommodation - is tucked into a small quiet cul-de-sac metres from the water’s edge and only an 8 minute walk to Tauranga’s city centre. Full of character and charm, ASURE Harbour View Motel provides eight spacious self-contained one bedroom units with full kitchen facilities. We have a relaxing cobbled courtyard and BBQ area for guests to enjoy, or you can explore the harbour in one of our kayaks. SKY TV 50+ channels of Guest Select and wireless internet are in all the rooms for your convenience. 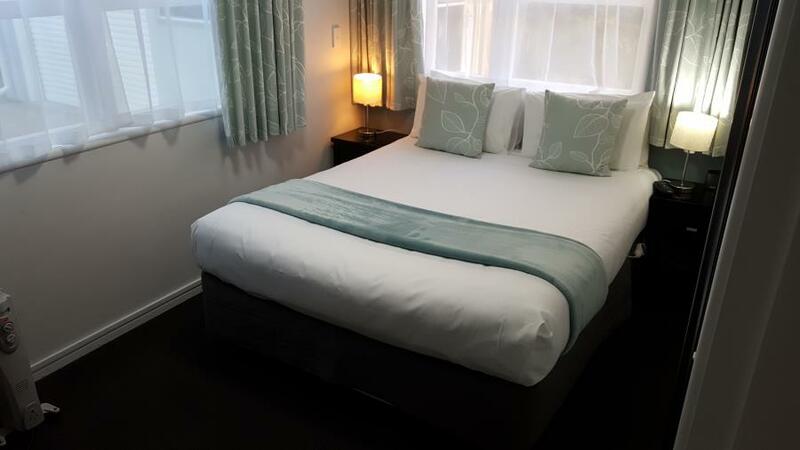 We offer Tauranga motel units that are perfect for couples, families, large or small groups and (for the longer stay) those wanting a good old-fashioned ‘home away from home’. Each unit has something uniquely different about it, from the fantastic harbour views upstairs to your own private garden on the ground floor. You can power walk along the water front and through Memorial Park as the sun rises, or enjoy a more leisurely stroll each morning to the estuary, just a few metres from the motel, to sip your morning coffee. Spacious newly re- decorated apartment style upstairs unit with separate bedroom (2 single beds) and Super King bed in lounge. Sleeps a maximum of 4 adults. Kitchen facilities include two plate hob, microwave oven, toaster, kettle, fridge, wash-up, crockery, cutlery and all cooking essentials. Spacious newly re- decorated apartment style upstairs unit with separate bedroom (2 single beds) and Super King bed (which can be split into two single beds) in lounge. Sleeps maximum of 4 adults. Spacious newly re- decorated apartment style downstairs unit with separate bedroom and bathroom. Sleeps a maximum of 4 adults. Spacious newly re- decorated apartment style upstairs unit with separate bedroom and bathroom. Sleeps a maximum of 4 adults. Lounge area has a single bed and a two seater couch which converts to a king single bed. Spacious newly re- decorated apartment style upstairs unit with separate bedroom (2 single beds) and Super King bed (which can be split into two single beds) in lounge. A two seater sleeper couch converts into a king single bed. Sleeps maximum of 5 adults. Two seater sleeper couch can convert into a king single bed in lounge area. 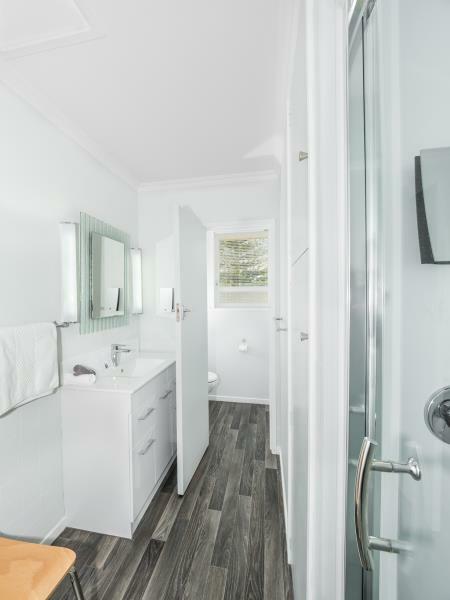 Newly renovated 1 bedroom downstairs unit with separate kitchen and bathroom. Sleeps a maximum of 3 adults. Just off courtyard. Access to covered all weather courtyard.